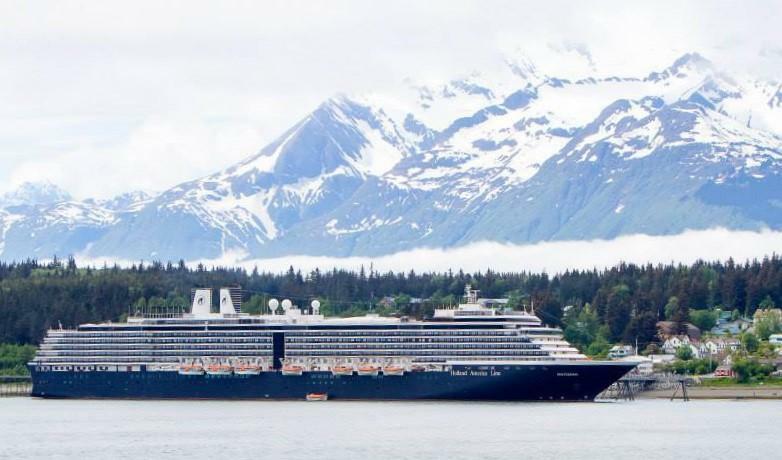 Two years ago, Haines decided to reduce the cruise ship docking fee by 50% to attract more cruise ship traffic. The result is a busier tourist season than we have ever seen before here at the Foundation. The first ship arrived in town on Sunday the 21st, and since then we have seen more than a thousand guests come through our doors. Guests who are joining us from around the world can participate with us in interactive natural history programs and learn more about how they can actively engage in conservation. With more visitors, staff have bumped up the number of tours and programs throughout the day to accommodate. Staff and interns are working hard to meet demand and to promote our Aviary Redesign project so that guests in future years can explore our facility and meet the birds at their leisure. To date, the Aviary Redesign Go Fund Me has raised nearly $15,000 and staff is actively searching for grants and outside funding. You can learn more about our redesign here. If you’d like to support our efforts, you can donate to the redesign here. 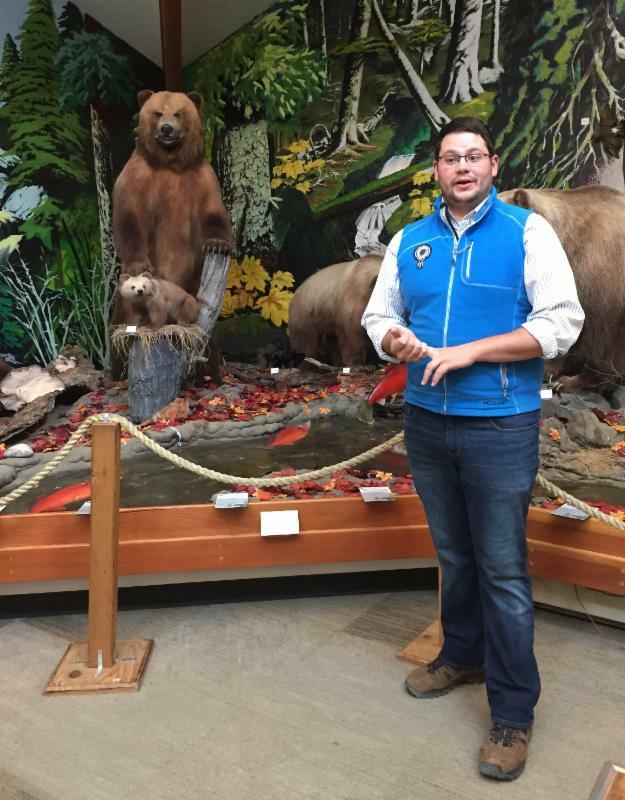 Earlier this month, ABEF staff said goodbye to our winter intern Arthur Gal. Arthur was with us for four and a half months, and in that time he collaborated with several local scientists and artists to complete a highly detailed map of the Chilkat valley. 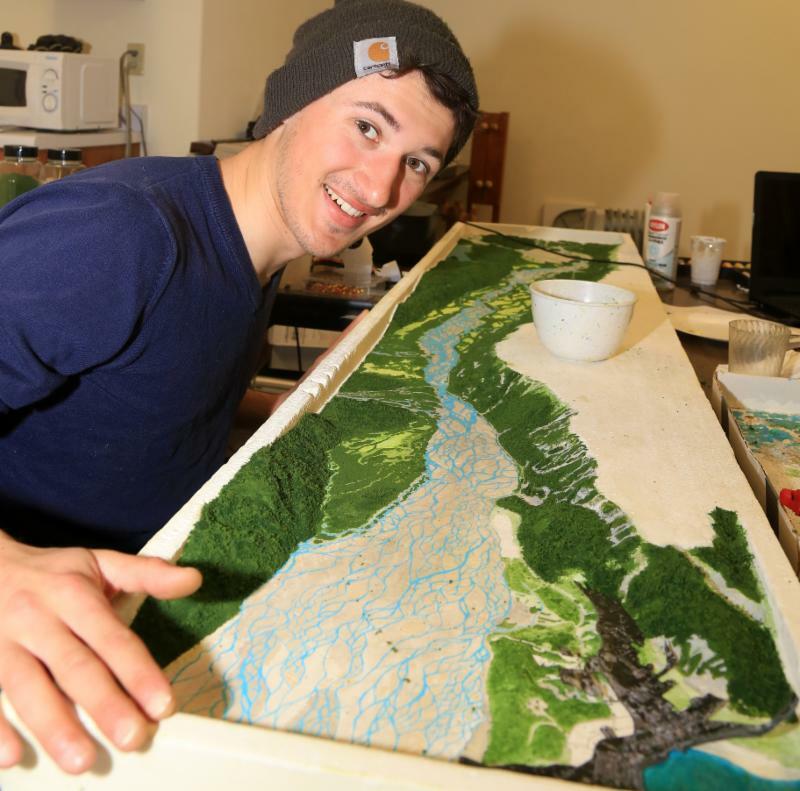 The map was rendered by Haines local Mike Armour using special software to reflect the actual topography of the landscape, and then cut by Haines’ own Fairweather Ski Works. Once cut, Gal spent weeks painstakingly painting and adding foliage to the map using satellite photos of the valley for reference. 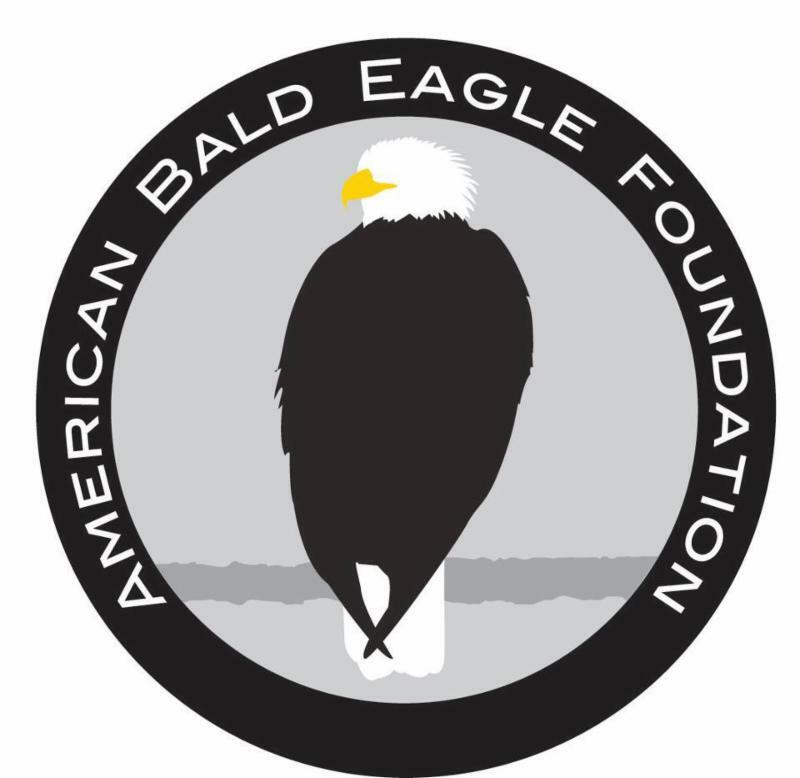 The completed map was then marked to show guests the number and location of bald eagle nests using data collected in the last ten years by Alaska Department of Fish and Game. Gal’s map includes an overview of bald eagle nesting needs, describing the necessary habitat, food sources, and human impacts. In addition to his work on the map, Gal spent many hours assisting staff with daily raptor husbandry. He worked closely with two of the birds and developed strong relationships that resulted in valuable training. He also put his photography and videography skills to work, providing us with many excellent photos and videos to document his work here. We are proud to have hosted Arthur and to display the results of his hard work in our museum. We look forward to keeping an eye on him as his career develops! ABEF is excited to welcome our five new summer interns! The internship program invites dedicated young people from across the country to join us for 12-26 weeks and learn what it takes to keep a non-profit museum and raptor center operating. Over the next few months, we will be featuring one or two of these carefully selected individuals in each newsletter. Mary Kate Cullen grew up in small town Manhattan, Illinois. She is currently a junior at Iowa State University where she studies Animal Ecology with a minor in Spanish. During her summer here at the Foundation, she hopes to develop her raptor training and behavior reading skills. 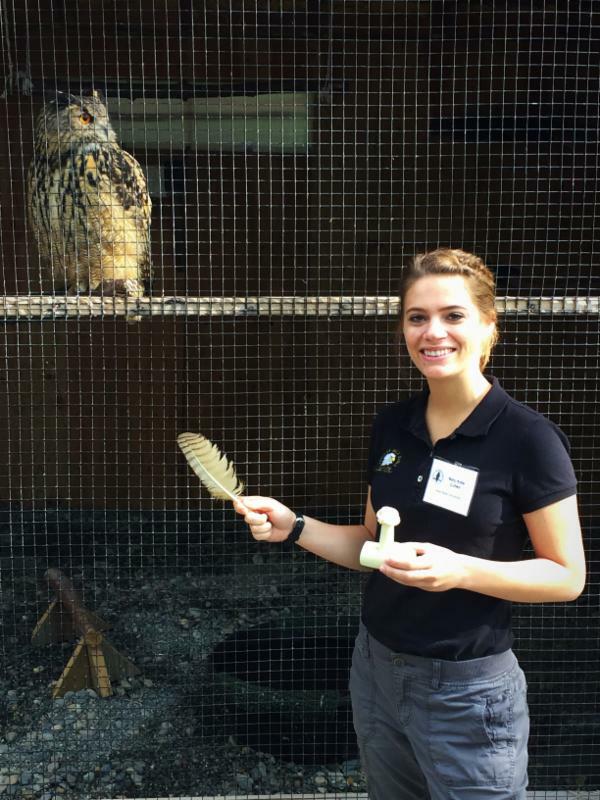 Mary Kate hopes to pursue a career “working with wildlife ambassadors to help the public get excited about nature and hopefully inspire them to make a difference and help conserve species.” Currently, Mary Kate is working on building a relationship with our resident barred owl. She is also delivering natural history programs and aviary tours to our guests every day and developing an educational project about raptor pellets. Welcome to Alaska, Mary Kate! Jacob Shurba is originally from Lombard, Illinois, but is currently attending school at the University of Wisconsin in Stevens Point. He is studying Wildlife Ecology Research and Management because he “loves working with wildlife, especially birds.” Because he hopes to someday work as a wildlife biologist researching raptors, he is excited to “further develop [his] skills as a naturalist as well as an avian handler.” Jacob will spend the next few months here developing a relationship with one of the resident red-tailed hawks and compiling data for the creation of a guide to Southeast Alaskan birds. Glad to have you here, Jacob! Does the internship program sound like something you or someone you know would like to be a part of? You can learn more about it on our website.